It isn’t a surprise the injury bug finally caught up with the Picton Pirates. What is surprising is the team was able to keep its momentum as injuries mounted and the club’s dressing area was looking more like a MASH unit than a junior hockey locker room. Picton finally was tasked with taking a bridge too far this weekend and dropped a pair of results to Orr division foes in the form of Lakefield and North Kawartha. Banged up for weeks, Picton had won seven of its last eight games heading into the weekend set but the lack of reinforcements proved too much against the top two teams in the Orr circuit. On Saturday, the Chiefs scored four unanswered goals in the opening frame en route to a 6-3 win for the hosts. Back at home on Sunday, Picton saw Matt Scott and Jack Dow go down to injury and the Knights crowned the Pirates 6-3. With the losses, Picton falls to 12-7-1 and loses pace with first place Napanee and, with two games in hand, the Raiders lead the Tod division with 33 points, eight clear of the second place Pirates. Picton certainly was in the game on Sunday and, after trailing 4-2 early in the second, the Pirates were able to get within a goal when Scott set up Matt Poole at at the 7:32 mark of the middle stanza. Picton wouldn’t be able to capitalize on a two-man advantage late in the frame. A tiring local side had another pair of powerplays early in the third that went for naught. Finally, the Knights were able to score on a 5-on-3 of their as former Wellington Duke Trent Schutt set up Elijah Brahaney at 10:10 and then scored a back-breaker just under two minutes later to make a 6-3 final. “The guys definitely got worn out this weekend and relying on one line caught up with us, especially tonight,” Pirates head coach Tyler Green said after Sunday night’s contest. The Pirates had managed to avoid the sin bin all night, taking only one minor penalty until the nine minute mark of the third period. “We had kept our discipline pretty well but once the puck went in the net on that five-on-three goal, you could feel it deflate us,” Green added. Piton got a goal in the first minute of the game Landon McLellan set up leading scorer Griffen Conger for the Deseronto native’s 10th of the season. But the Pirates gave that lead back in relatively short order as goals from Schutt, Mike Fisher and Matt Carroll allowed the visitors to jump out to a 3-1 lead. Picton’s captain Devin Morrison would close the gap part way through the frame with his ninth of the year. Coming off a loss the previous night, Picton starter Brennan Bush had a couple of tallies in the first he would have likely wanted back. On Saturday, Picton again suffered a poor first period that set the tone for the contest. Down 1-0 after Zac Treen scored to stake the hosts to a 1-0 lead, Conger would feed Morrison to tie it up at 1-1 just 4:25 into the game. But then a wave of Lakefield goals, four to be exact, set the hosts up for a 5-1 lead. 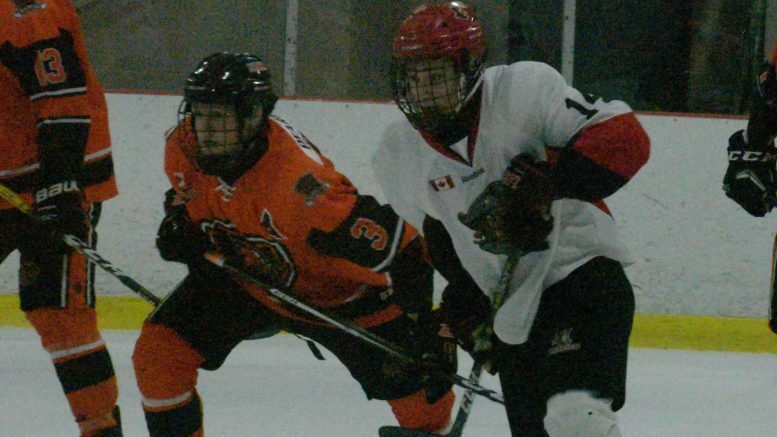 Picton’s Morrison and Noah Brant would provide the scoring in the second to get the Pirates back into it at 5-3 but Carson Hartwick’s unassisted tally early in the third effectively dismantled any thought of a Pirates comeback. The good news for Picton is that the club is on the mend somewhat. Green expected Nate Boomhower to be among those discharged from sick bay and back in the lineup on Thursday when the locals hosts the Campbellford Rebels. 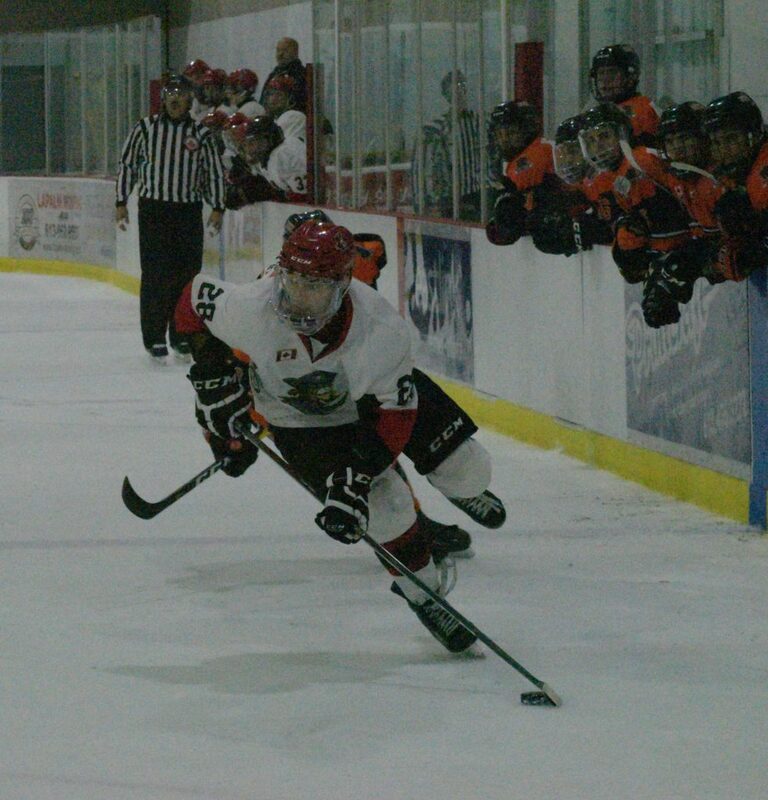 In Picton’s other contest this weekend, the Pirates host the Port Perry Mojacks on Saturday.